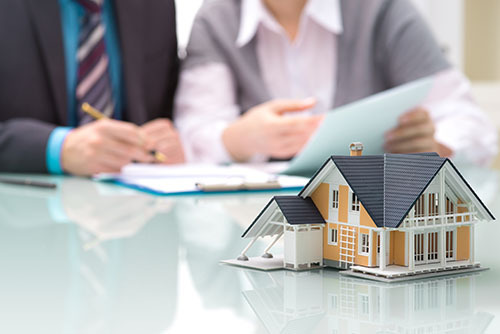 From interest rates to mortgage loans, there are many things associated with applying and obtaining a mortgage that are important for new homeowners to be aware of. If you’ve heard the term Lender-Paid Mortgage Insurance (LPMI), this is when the mortgage lender pays off mortgage insurance on behalf of the homeowner. While this kind of insurance can be beneficial for some homeowners, here are some of the basics on LPMI so you can determine whether or not it will work for you. While a homebuyer generally has to be in a position of good credit in order to utilize LPMI, it is also the case that it is more beneficial for those in a higher income bracket. Because of the higher interest rate that is associated with this insurance, there is often the benefit of a more sizeable deduction when tax time comes. However, those with a lower salary may be able to deduct their Private Mortgage Insurance (PMI) without even utilizing the costlier option of LPMI. Because of the higher interest rate associated with an LPMI loan, utilizing this option is generally only a good idea for those who are planning on paying their loan off in a shorter period of time. While other types of insurance will allow you to cancel the premiums once you’ve paid enough down on your home, LPMI works differently and will be in place until the entire loan amount is paid off in full. For streamlining payments, it’s ideal, but only if you have an end date in mind. Due to the higher costs that are associated with LPMI, there’s a good chance that those who are not in the best financial standing will not even be eligible for this insurance option. While those who have a low debt load and a good credit score may be able to acquire this type of insurance, LPMI will not be feasible for the less financially sound. While Lender-Paid Mortgage Insurance can be a good option for those who have a good credit score and are high income earners, it’s important to be aware of all of your options before you decide what type of insurance will work best for you. If you’re currently on the market for a home and are looking into mortgage options in your area, contact your local mortgage professional for more information.